The Go for Gold Education-to-Employment programme is a non-profit organisation which facilitates tangible transformation opportunities for youth from some of South Africa’s poorest communities who wish to pursue technical vocations in the South African built environment. Since 1999, the 4-phased programme has boasted transformational efficacy through public-private partnerships with the Department of Education and 24 built environment companies. Go for Gold, 20 years old this year, has received international recognition and won numerous awards over the years and now boasts another accolade within their ranks from the Black Business Quarterly (BBQ) Awards. 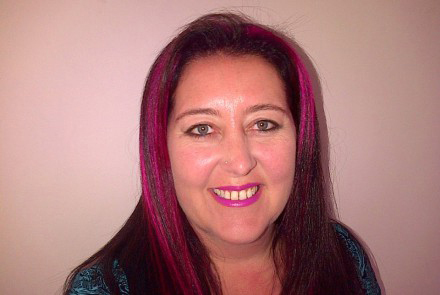 Go for Gold’s Fundraising and Communications Manager, Karen Rademeyer. The BBQ Awards has run for 17 years and is South Africa’s most prestigious transformation awards attended by the top echelons of corporate South Africa, government, international Ambassadors and media. From distinguished leaders to rising stars, the creatively talented to innovative and impactful entrepreneurs, the BBQ Awards applauds nominees for their determination, hard work and integrity. The 2019 BBQ Awards was held at Emperor’s Palace on Friday, 15 March 2019 and honoured the best of the best in black business. The event was attended by 800 guests in celebration of heroes of transformation in South Africa, with the opening keynote address given by the Minister of the Department of Energy, Jeff Radebe who celebrated 25 years of South Africa’s democracy and emphasised the importance of transformation for our country. Go for Gold’s Fundraising and Communications Manager, Karen Rademeyer was one of the 15 category nominees identified for her 17 years working at uplifting the lives of young black South Africans and for the work she is doing at the Go for Gold Education-to-Employment programme. Karen won the award under the category for “Nedbank Group Limited Individual Transformation in Leadership Award” and Radebe congratulated all the winners of the 15 transformation categories for their inspiring dedication.